As the cushion fever reached out to "West" early this year, Lancôme became one of the first to embrace the trend. I was wondering about the cushion thing already last year and thanks to my dear friend Linda, who gifted me a Laneige BB Cushion, I have tested and reviewed it. You can read my thoughts here. Lancôme's Miracle Cushion Foundation is launched in the beginning of February. Suddenly there were many voices, reviews, thumbs in both directions and discussions. Only way to find out was to try it out. Here is my two cents after testing it for two weeks. What is meant by "cushion"? Cushion products are offered with a large pad in which the product is soaked in. That way very watery formulas become easy to apply. Such formulas are usually light weight and they give a natural lit within glowy finish. There are not only foundations or BB cream but also eye shadows, eye liners, blushes and every product which might come in liquid form. Since the liquid might dry up in time, these product ranges usually offer a refill to exchange the pad for a more affordable price. Lancôme Miracle Cushion Foundation comes in a very similar package with Korean cushion foundations. The compact is white and has a mirrored lid. It is opened by a push mechanism. There is a lid which covers the cushion and holds the puff. Puff is for touch ups on the go but at home I prefer applying the foundation with my beauty blender. Under the lid, the cushion comes with a sticker on top. Once you remove the sticker, you have to make sure to close the compact tightly to prolong the life of your cushion. I personally place the sticker back to its place after the application and that way it is held fresh for a longer time. Since the product is liquid, it is best to apply it with a sponge or with the puff included in the package. I find the application with a beauty blender quicker. I also find the result to be more homogeneous. The included puff is great if you want to touch up during the day. All I do is to press the beauty blender on the cushion and tap it on my skin. For other foundations I make my beauty blender slightly damp before the application but since this formula is watery, it is not needed. 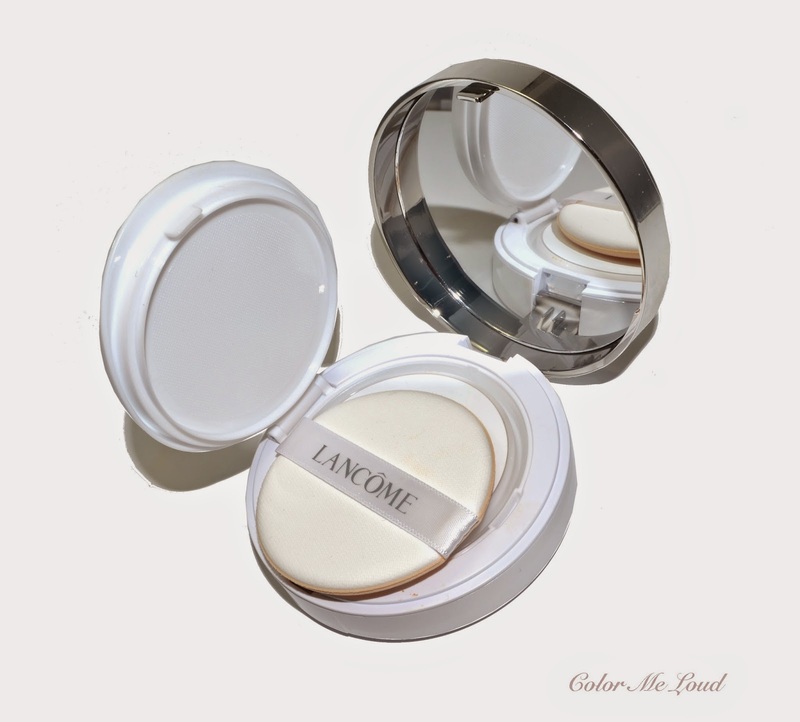 Similar to Laneige BB Cushion, the finish of Lancôme Miracle Cushion Foundation is very natural. It gives a lovely glow without being greasy. During the application there is a cooling sensation, probably due to water evaporating. I believe this formula is best for dry and normal skin types since it hydrates nicely. 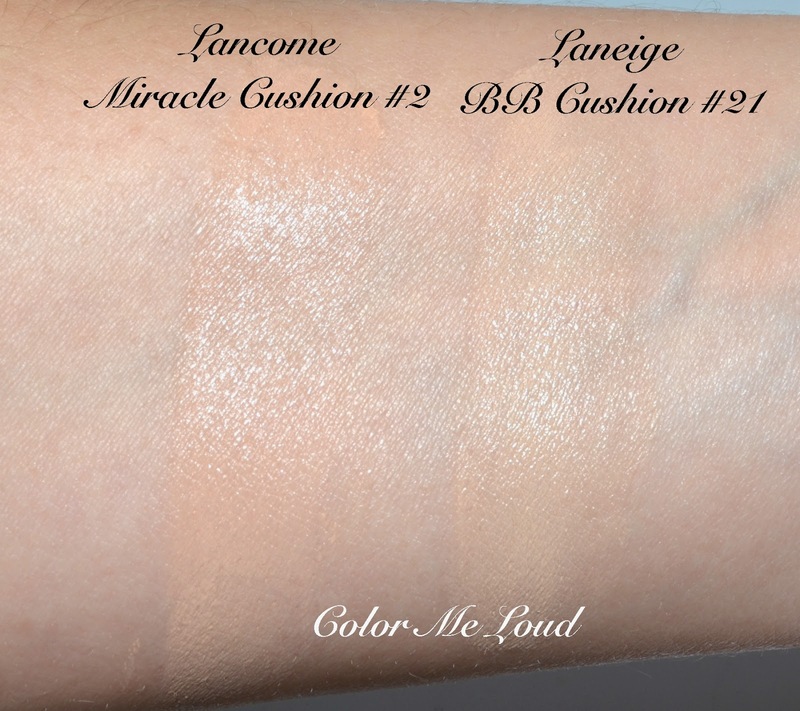 I found Lancôme Miracle Cushion to have slightly less coverage than Laneige BB Cushion. All in all I would classify the coverage being light to medium. I am satisfied with it though and my face needs little concealing afterwards. I tried #2 which is a good match for my MAC NC20 skin. These come in 4 shades, which is rather restricted but since the formula doesn't sit on the skin but shows it through, one can get along with a tad darker or slightly lighter colors. I thought #2 would be a little darker by the first application but it looked fine afterwards. These are the points which I observed. Lancôme's formula is a little wetter but it can be because of the different pore sizes of the cushions. It is not necessarily better or worse. It doesn't make a difference during application. 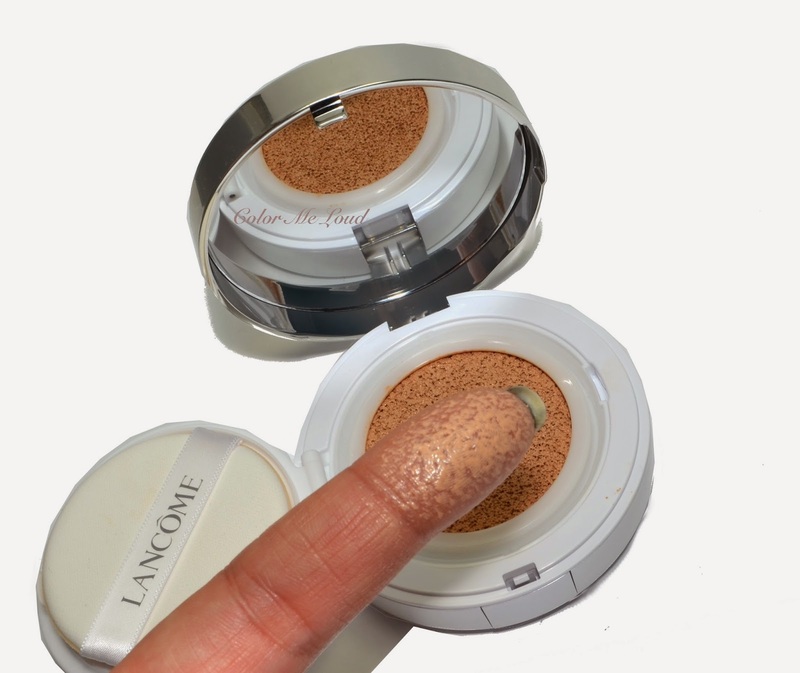 Lancôme Miracle Cushion applies slightly sheerer but it is still enough to even out my skin tone. 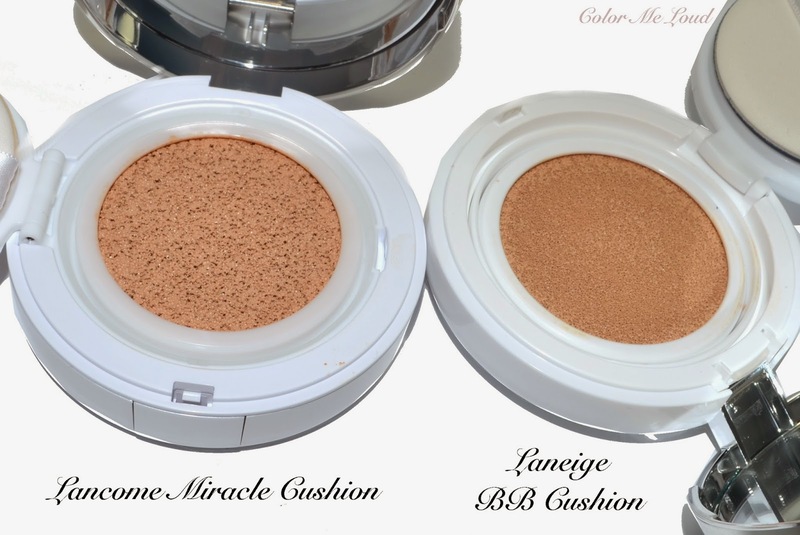 Cushion pore sizes differ between the two brands. I don't see an advantage of a cushion pore being smaller or bigger. I haven't recognized any advantages or disadvantages of this property during my test. The shades of Lancôme Miracle Cushion go deeper and they are adjusted with more rose undertones. Brands claim that deeper shades and rosier undertones are in more demand at western markets. Price range is similar but for the first package, Laneige comes with a compact with cushion and an extra fill. Lancôme comes with a filled compact without an extra. Both are made in Korea. Laneige offers 50+ SPF, Lancome has only 23. Although most of us are happy with extra SPF, there are also many people I know who are going to solarium to get their faces burned. I believe the selection of SPF in between those demands and ours make sense in terms of marketing point of view. The sticker on the cushion can be reused more often in Lancôme Miracle Cushion Foundation which resulted in a longer lifetime of the product. I don't want you to feel like I am playing the devil's advocate but here is what I think. There is a trend going on which makes total sense. Just look at the finish on your skin and you love it. Some brand rush to bring it here and those who rush are taking a risk. When I posted photos about the cushion foundation at Instagram some stated that they were not feeling the wet sponge. Let's face it, it is hard for a customer to change whatever they are accustomed to for something which is totally different. That risk some "more innovative" companies take should be praised and not discouraged in my book. My applause to Lancôme for the braveness and I hope that we see more old-minded established companies such as those with two Cs move a little faster than repromoting their 50 year old lipstick formulas. 'Nuff said! Final thoughts: I think cushion foundations are a lovely trend which gives a neutral dewy finish without being greasy in any way. 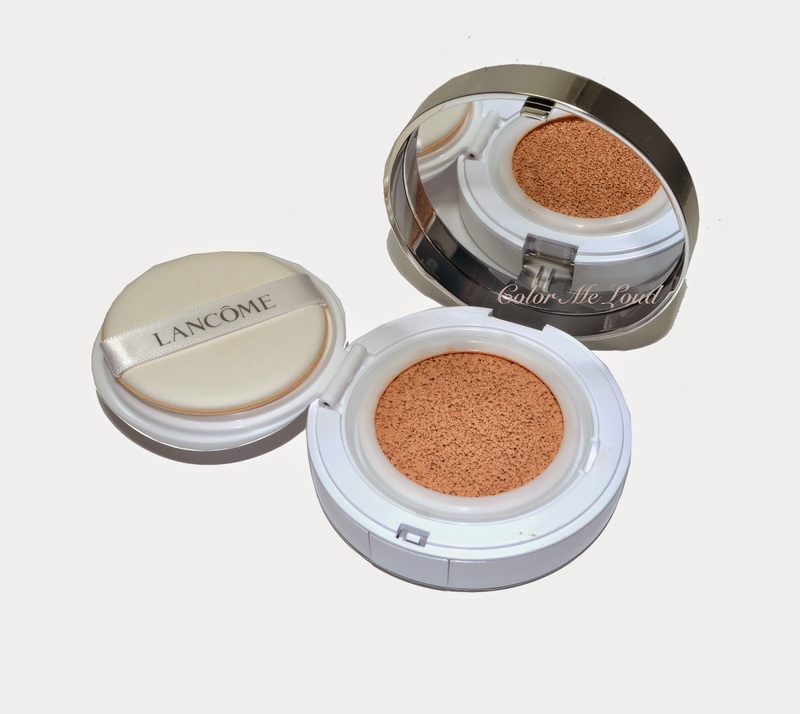 Lancôme Miracle Cushion Foundation is very easy to apply, gives enough coverage and it is light weight. It is most suited to dry to normal complexions with its hydrating and cooling properties. Thumbs up. Have you tried any cushion products? Do you see yourself being converted? Hey Sara, I got this too, but I haven't tested it out yet! Happy to hear your thoughts! Not sure how the rosy undertone and hydrating properties will work out for me, but I'll keep you posted! LOLOLOL Was going to say the same. Thank you so much for this review! (and your blog, which is so useful to me, although I had not taken the time before to leave you a comment!) I have the Lancôme one in 02 like you, but find the shade a bit rosy. Now thanks to you comparison post, I can safely order the Laneige one, it seems a bit warmer no? Are the refills compatible between Lancôme en Laneige? Since their both made in Korea? Since I live in Asia, this concept is not new and has been a trend for quite some time thanks to the Hallyu / Kpop wave. It's also more fitting that the shades offered by Asian brands like Laneige, IOPE, Etude House, etc, are warmer and less rosy. While it's forward thinking for Lancome to catch on to this trend, I'm going to stick to the Asian brands purely due to shade selection. However, when all other Western brands catch on to this cushion craze, I hope they don't go too far like what they did with BB creams, then CC then DD then EE... if you know what I mean. Thanks for the review, Sara. Much appreciated! LOL Sara!!!! I'm very sure brands will start to jump on the cushion bandwagon since Sulwhasoo and Amore Pacific are already out there. And then the people will start to embrace these cushions. As for repromoting 50-year old lipsticks... at least they're reformulating it. As opposed repromoting old horrible dry eyeshadow formulas a la House of D!!! you must try it out, the finish of these are really nice, very natural. I was never a fan of matte/powdered look so it is great for me. I think you would do just fine. I can see that you don't need much base to cover anything anyway and this one is great for less coverage more natural skin showing through. I am glad that it was useful. Laneige #21 is warmer, that is right. And a tad lighter. I am not sure about the compact if refills can be exchanged. I will try that out tonight and let you know. If you will order Laneige, do so with a compact, it comes with one refill, I think it is great value for money. there were some reviews against this initiative of Lancome, I wanted to point out that they are doing a nice thing. You are right with BB, CC though lol, that one went totally crazy! For those in asia, Lancome's Miracle Cushion might not be very attractive, since there are so many others to select from. In Europe though, it is a fresh breath. LOL, Don't you think Cs are being Cs for over years and years without any wind of change? Hahaha Linda, you cracked me up with D LOL! That eye shadow formulas are indeed horrible but still the oldest minded of them all has to be C, D is at least trying (but not succeeding) with cheek stains and liquid eye shadows etc. They sent me 2, 3, and 4 (I only asked for 3), so I guess one of them has to work! LOL Sara, you made me laugh with your last statement! you are totally right about old fashion double C brand. Though I just found out about "cushion" thing reading your post, I'm totally intrigued to try it out! I think people reading loads of beauty blogs (like me) end up being more open minded to novelty. But I agree with you most customers stay faithful to what already works for them, without knowing what comes next could be 1 million times better! Lol failing with a big F. Cheek stains were so 2014! That's right, i'll try to find a Laneige compact, thanks for the tip! L'oreal is always the fastest when it comes to launching a new trend. Its impressive how quickly they try to replicate any new innovative product on the market. Some companies prefer testing products for 2-3 years and then launch it with big campaign, while others launch and test consumer interest mostly in the market. I used to work in marketing for another giant and have a lot of respect for their agility, must be a stressful job. I agree that we shouldn't discourage them from giving other beauty companies in Europe a little acceleration kick. Great review!! I was looking forward to reading your thoughts on this cushion foundation. I've never tried anything like it and I find it interesting! I also agree with what you say about a brand taking risks, we must applaud the effort and hope that other brands follow suit and like that better and more innovative products will be released! Actually, the cushion pore size does matter. Bigger pores means the product will dry out faster. Also with bigger pores a lot more of the product gets transfered onto the applicator sponge and gets wasted. As Lancome's applicator sponge is not Rubycell that also means that the excess foundation gets absorbed and shortens the life of the applicator sponge as it requires more vigorous washing. So all in all, the pore size does matter in the long run. The Lancome refills are not interchangeable with higher end Korean cushions. But with the cheaper ones - yes. Mostly with those manufactured by Cosmax. I found the lightest Lancome shade still too dark and too yellow for my pale skin. The version of this cushion for Asia has two shades, both of them a lot more wearable than what's on offer in Europe. 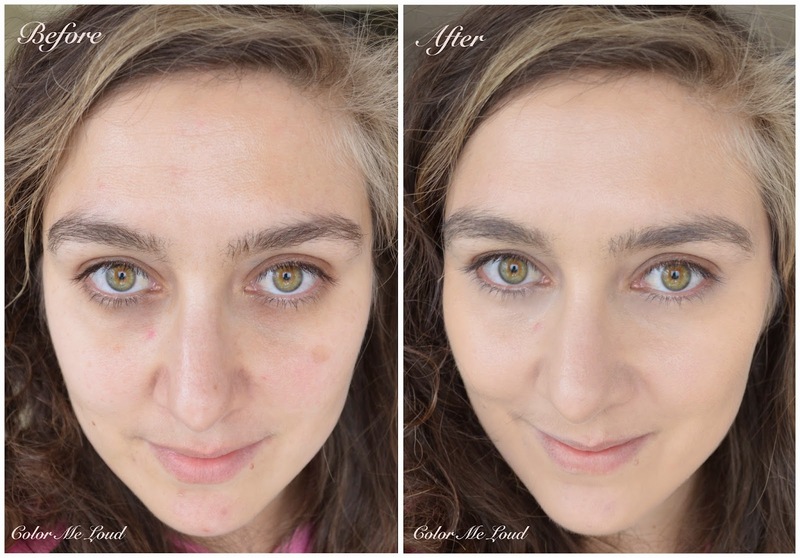 Amazing review--Sarah do you think that these are similar/different from serum foundations but with a different delivery mechanism? I've never tried a cushion, now I'm curious. Thank you for the wonderful, thorough review!! I am hearing you ordered it? Love the idea of very fluid liquidy formula, it definitely give "the glow"
Hope you try it, I would like to read what you think of it. What about you, have you tried it out? thanks for the new products, new formulas support out there. I think beauty bloggers are more experimental but most of the people go on buying the same products over and over again so I wonder if Cushion thing will hold in Europe, we will see. Hi, Thanks for living a comment and letting us know what you think. I have read your post too. I can't say that I agree with the fact that a company either produces drugstore or high-end. Today most of the brands offer both. I have talked to a friend from Asia and she told me Cosmax does both. There is a general problem of foundations being offered in Europe starting with rather medium shades. I know many friends who struggle with it but not only with Lancome but with many other brands. Sales Assistant at the counter explained me many girls like deeper shades on their faces to fake a tan and it is true that the most sold shades are medium to tan shades. I also don't know what the girls are thinking. Worst thing is having a tanned face and a pale neck lol. As for the serum foundations, unfortunately I don't have much experience in them. I read though that they are not so sheer. This one is sheer, like a BB cream, and it is watery. The difference of this to the other runny foundations I have tried is the noticeable "glow" on the skin after the application. I found it to be hydrating too. Do you have dry skin like me? if yes, probably you would like it. Oh, blame the 10£ voucher I won at feelunique, I got the Miracle cushion for "mere" 19£ so, I though "it is now or never!!" I'm going to try it today for the first time ;) I'll keep you posted. I so agree with you about the darker shades - dark faces with white necks look strange. Here in Asia the trend is the opposite, which also looks pretty bad. I have Laneige as well and so far did not notice any drying. I also have a Hera cushion and that one is still going strong after 9 months of intermittent use. I'm curious to see how this Lancome cushion will look after 9 months. As to whether cosmax manufactures drugstore level or high end cosmetics, I guess it all depends on a person's definition of high end. And from the photos in my post, as well as the ingredient list of Lancome's cushion, it's clear that this is the bottom of the barrel here. I also found it very curious that this cushion was renamed as Blanc Expert cushion for the Asian markets. Yet the ingredients stayed exactly the same. It's my job - or one of them anyways. yeah, and I'm really liking it for a bit of my skin but better touch, or when I'm in a hurry. Hate the applicator, though, so I mostly use a brush with it. It works really well with my Lingerie de Peau powder foundation for that little extra touch when I need it, bu don't want full coverage. Thanks Sara, thats really helpful :) I'm sure lots of other companies will start bringing out foundations like this soon.